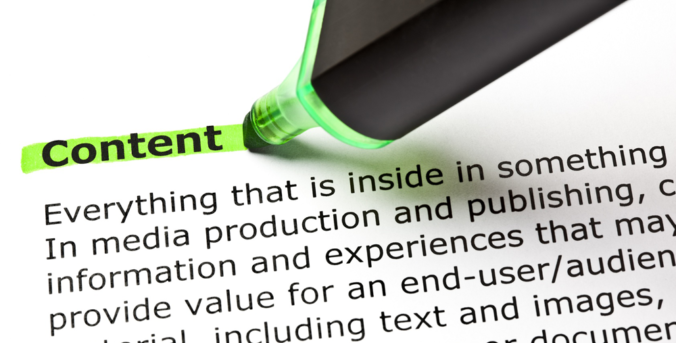 “Develop great content” may be the most oft-repeated suggestion in the SEO world. Despite its clichéd status, though, this is sound advice. Appealing, useful content is crucial to search engine optimization. Every search performed at the engines comes with an intent—to find, learn, solve, buy, fix, treat, or understand. Search engines place web pages in their results in order to satisfy that intent in the best possible way. Crafting fulfilling, thorough content that addresses searchers’ needs improved your chance to earn top rankings. As mentioned, original content goes a long way with Google and your visitors. Copying other people’s content will result in a punishment from Google, which can crush your bottom line. Remember when you used to find ezine articles in top Google rankings? You don’t see them anymore, and it’s no accident. They were one of the hardest hit by Google’s algorithm update, which aimed to prevent bad content from ranking highly. Mahalo was a content farm that updated every day with new content, but it wasn’t original content. Google punished them for it, and that resulted in Mahalo needing to pivot their business. But let’s take this a little further. Original also means originality. Your ideas should be original! Rehashing the same concepts or other posts over and over again is not original. If your content is played out, no one will link to it – and that defeats the purpose of writing content in the first place. If you don’t have anything useful to say, then don’t say it at all. These two simple points will keep you on the path of making quality content that will yield returns for years to come. They can also help in other aspects of your life.